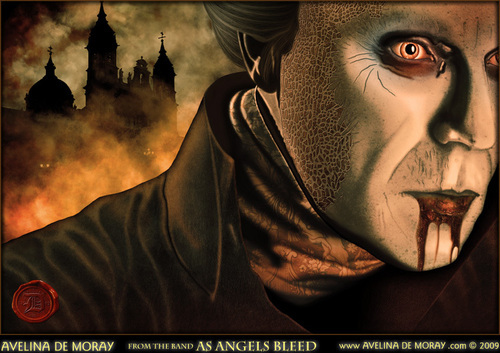 Bram Sokters Dracula - Art 由 Avelina De Moray. A drawing 由 哥特式 artist Avelina De Moray. HD Wallpaper and background images in the 恐怖电影 club tagged: dracula bram stokers dracula dracula wallpaper vampries horror movies. This 恐怖电影 photo contains 动漫, 漫画书, 漫画, 卡通, and 漫画卡通.